RE/MAX Select Realty prides itself on offering a “Simply Better” choice of realtor to help clients experience a seamless home buying experience. Mark Gulla is something of a legacy at RE/MAX Select Realty. His mother, Melissa Gulla, is a champion within the company and continues to have high producing years. Mark is following in her footsteps, going on four years with the company and earning a spot in the RE/MAX International 100% Club, having between $100,000 and $249,999 in Gross Closed Commissions (GCI), in 2018. Mark’s business has continued to grow each year he’s been working with RSR out of our Center Township Office. It may seem like this Robert Morris alumnus, who grew up in Center Township, had it easy. Mark tells a different story. After never hearing back from that company, he took it as a sign to follow his mother’s career path. After getting his license, Mark said he still had a frustrating start. He didn’t get a sale until four months in. One of the agents doing so well was Mark’s mother, sitting in the seat right next to him. The two are not a team and work competitively in the same market, selling and listing homes in Beaver County. That first home got him on his feet and gave him an idea of how to handle the whole process. Growing up with your mother being a successful realtor, then sitting just a few feet from her at your mutual work place and competing for the same business can be a tall order for any child. When asked who Mark’s mentor is, he said… you guessed it… his mom. Melissa said that it’s truly amazing to see her son’s success and the praise he gets from his clients, especially because he earned it himself. Mark says his winning formula is to set “crazy” goals for himself. 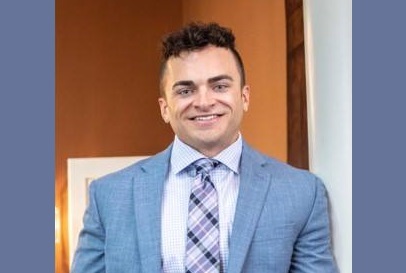 If you’re interested in seeking out realtor services or finding out more information, Mark is very active on social media and says he gets a lot of his clients through Facebook and Instagram.